Introducing Toyota Access[T14]. All new levels of affordability, flexibility and assurance can now come standard with every new Toyota. Enjoy the security of real guarantees and say goodbye to the uncertainties you've come to expect from traditional methods of car ownership. Toyota Access is an easy and flexible way to put you in complete control when you’re buying a new car. The great thing about Toyota Access is it enables you to choose the car you really want today and still keep your options open tomorrow. Whatever stage you’re at in life – going off to university, starting out on a career, settling down with a family or getting your life back as the kids leave home – you can have confidence about what’s ahead. 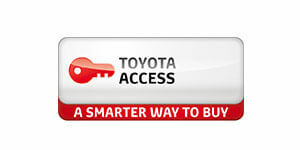 Toyota Access puts you in the driver’s seat with affordability, flexibility and assurance. And, because Toyota Access comes with low monthly repayments and a short loan period, you can upgrade to any New Toyota without worry or hassle*. Once you’ve chosen the vehicle you want, simply tell us if you’d like to pay a deposit (if so how much) and how long you’d like the agreement to last for. We’ll then put together an affordable monthly payment schedule. Obviously, the more deposit you pay the less the repayments will be. And the shorter your loan term is, the sooner you can trade up or down to a new Toyota model. Trade in or sell your Toyota – use the trade-in value or sale price to pay the remaining balance of your account. Keep your Toyota – simply pay the outstanding balance (including the final payment). We can help you refinance the balance if you don’t have the cash on hand (conditions apply). Return your Toyota – we’ll pay you the GFV* we agreed at the start of your term and put it against the remaining balance owing on your account (subject to Fair Wear and Tear conditions and agreed kilometres being met). [T14]Terms and conditions, fees and charges apply. 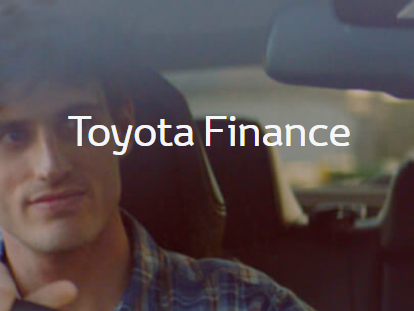 Toyota Access Guaranteed Future Value products are available to approved customers of Toyota Finance a division of Toyota Finance Australia Limited ABN 48 002 435 181, AFSL and Australian Credit Licence 392536.